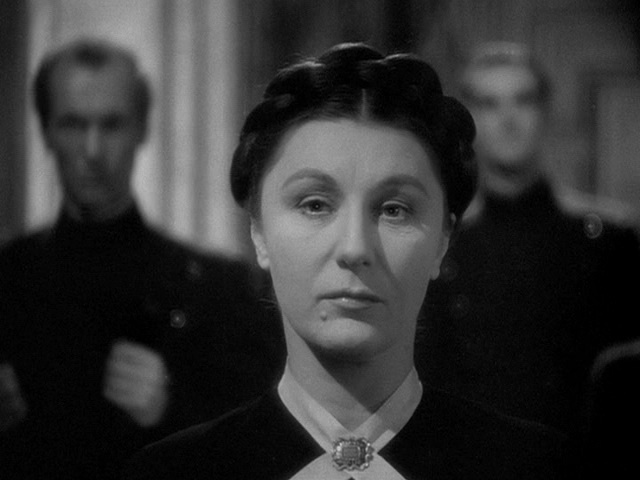 Judith Anderson in Alfred Hitchcock’s “Rebecca.” Courtesy of The Criterion Collection. This ominous query forms the basis of the two most famous pictures Alfred Hitchcock ever made: his most revered (1958’s “Vertigo”) and his most influential (1960’s “Psycho”). Both films have the aura of a ghost story, though the actual existence of a ghost is debatable. The real demons reside among the living, unable to let go of the past. Scottie (James Stewart) is driven mad by his obsession with his deceased love, Madeleine (Kim Novak), and is hellbent on transforming “look-alike” Judy (Novak) into the dead woman. So traumatized is Norman Bates (Anthony Perkins) after murdering his domineering mother that he keeps her alive by taking on her identity. Yet he may be no more “possessed” than Madeleine was, when her husband Gavin falsely claimed that she was under the control of a suicidal ghost, Carlotta Valdes. There’s no ghost in Norman’s brain. Only madness. 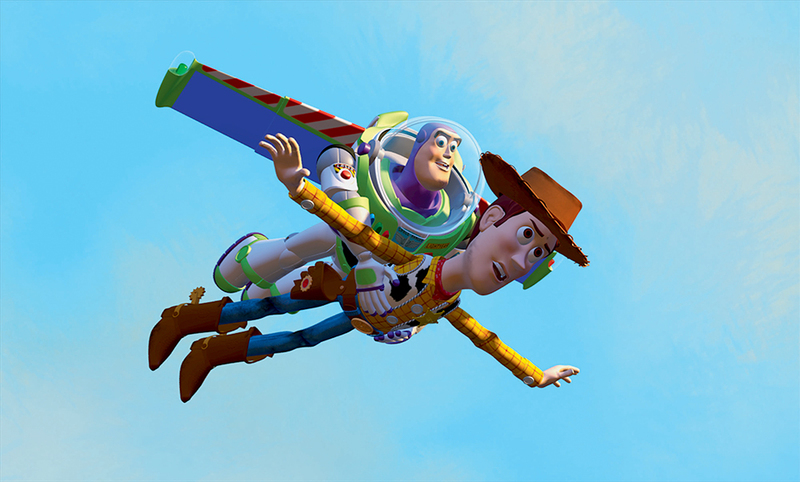 At the core of each film is an enormous lie in the form of an illusion. Just as Norman is posing as his mother, Judy is inhabiting the role of Madeleine during the first half of “Vertigo,” taking advantage of Scottie’s acrophobia as part of Gavin’s elaborate scheme to murder his wife. Of course, there is a Hitchcock film preceding these two masterpieces that was also about illusion and ghosts, though it’s a picture often criticized for being more of a David O. Selznick production than a fully realized work from the Master of Suspense. The 1940 Gothic melodrama, “Rebecca,” was awarded the Oscar for Best Picture, an accolade for producer Selznick, not Hitch. Nominated that year was the marvelous “Foreign Correspondent,” also directed by Hitchcock and displaying far more of the director’s signature touches. Yet “Rebecca” is unmistakably Hitchcockian in many respects, foreshadowing much of the legendary work to come. It’s far from a flawless film, and was sorely undeserving of its Academy Award (other nominees included John Ford’s “The Grapes of Wrath” and Charlie Chaplin’s “The Great Dictator”), but it does have its share of greatness, the majority of which is contained in the unforgettable performance by Judith Anderson as sinister housekeeper, Mrs. Danvers. Not only is she the single most fascinating character onscreen, she’s also the most oddly relatable, courtesy of Hitchcock’s uncanny ability to manipulate his audience. It is Mrs. Danvers, above all, who stands as the precursor to Scottie and Norman Bates, her obsession with a dead woman so unrelenting that it literally consumes her in the end. 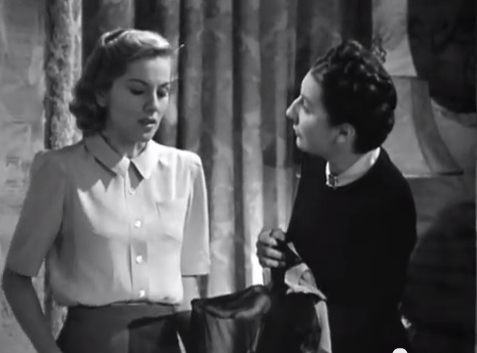 In an eerie inverse of the Scottie/Judy relationship, Fontaine becomes convinced that her husband is so preoccupied with his lost love that the only way to win his affection would be to “become” Rebecca—a daunting task, to say the least (everyone in the house speaks of the dead woman in hushed, reverent tones). The film’s most excruciating scene occurs when Fontaine unknowingly dresses as Rebecca at a costume ball, modeling her gown after one that she saw in a portrait deviously recommended by Mrs. Danvers (the portrait, by the way, carries echoes of the Carlotta Valdes painting that supposedly entranced Madeleine). The partiers stare at Fontaine as if they’ve seen a ghost and Olivier reacts in horror and revulsion—the very antithesis of Scottie’s ecstasy upon seeing Judy morph into Madeleine. Clearly Rebecca is not an image Maxim cares to recreate. As it turns out, he’s been hiding the worst secret of all. The grand “illusion” in “Rebecca” is the very notion that Maxim had ever loved Rebecca or that her death was a crippling tragedy, when in fact, it was an opportunity to escape. Rebecca’s duplicitous nature brought Maxim nothing but misery (or so he says). Enraged at her adultery, Maxim confesses that he “went mad,” striking her before she fell to her death. Fearing murder charges, he made her demise appear to be an act of suicide. Aside from Leo G. Carroll’s climactic speech, which serves as a rather glib deus ex machina (confirming that it was indeed a suicide), Maxim is such a terse and volatile character that he’s wholly believable as a potential wife-killer, making Fontaine’s tireless devotion to him equally maddening (no wonder her next Hitchcock film, “Suspicion,” originally ended with her character accepting her fate at the hands of a homicidal husband). We don’t want to see this pair together any more than Mrs. Danvers does, and that’s what makes her character so deliciously, diabolically appealing. Joan Fontaine and Judith Anderson star in Alfred Hitchcock’s “Rebecca.” Courtesy of The Criterion Collection. Hitchcock was always intrigued with casting actors who were either closeted or rumored to be gay as characters whose homosexuality was coded (note Farley Granger in “Rope,” for instance). Anderson may or may not have been a lesbian, but her decidedly masculine mannerisms made her an ideal choice for Mrs. Danvers, whose undying lust for the flirtatious Rebecca is conveyed in several small yet frank touches. Consider when she demonstrates to a profoundly uncomfortable Fontaine that Rebecca’s nightgown was see-through by placing her hand inside of it. Later, when the horrible truth about Rebecca is revealed, Mrs. Danvers is on the brink of tears, showing more palpable pangs of betrayal than Maxim could ever muster (“love was a game to her,” she bitterly replies). Since Rebecca was ultimately a self-destructive creature, one could make the argument that Mrs. Danvers is “possessed” by her throughout. She often resembles the living dead, gliding about the house like a floating zombie until she lunges in for the kill, her eyes bulging like a ravenous wolf. She doesn’t want to merely oust Fontaine from the house, she wants to do away with her completely, even if it means coaxing her out a window that would surely lead to a fatal plunge. “Why don’t you? Why don’t you? Go on…go on…don’t be afraid…” she coos with hypnotic delicacy, as if encouraging a toddler to take its first step. In “Vertigo” and “Psycho,” death had a resounding triumph over the living, but in “Rebecca,” the victory is more ambiguous. Fontaine and Olivier may have ended up together, but their happiness is hardly assured. The “past,” embodied by Manderley, may lie in fiery ruins, but that doesn’t mean its presence won’t continue to linger. 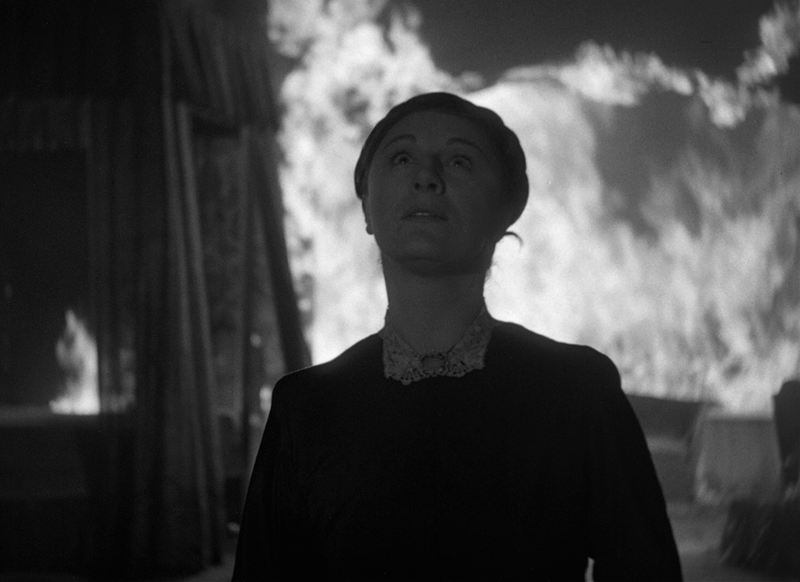 Hitchcock chooses to end the film not with the couple happily embracing but with Mrs. Danvers trapped inside the burning house, her maniacal grin illuminated by the flickering flames. This is one of the most deeply unsettling images in any Hitchcock picture, paving the way for “Psycho”’s terrifying final shot of the snickering Norman, his face superimposed with the skeletal remains of his mother. Maybe he was possessed after all. Look at that grin and you just might catch a glimpse of Mrs. Danvers’s vengeful visage gleaming within.